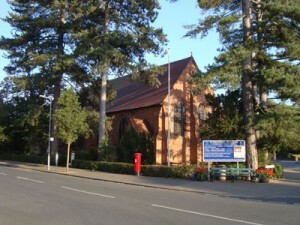 This page provides information on places of worship in Woodhall Spa. 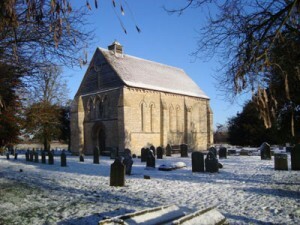 St Leonard's is a beautiful small 13th century chapel near the ruins of Kirkstead Abbey. Access is along a track from Abbey Lane - turn right at the Abbey Lodge. You may visit the Abbey and obtain the key to visit St Leonard's, Kirkstead, which is included in Simon Jenkins' 'Best 1000 Churches', from Malcolm Brown - tel: 07743 187145 or from the nearby Abbey Farm - Will Nelstrop - tel. 01526 354243. 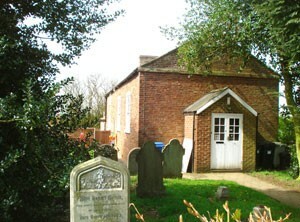 For more information on St Leonard's Church visit the Kirkstead heritage page. 2nd Sunday 10.45am Holy Communion. Less formal in style, perhaps using the platform rather than the High Altar that some find less intimate. On the fifth Sunday there is a United Group Communion service held at one of the Group churches. For details of these, residential home communions and special seasonal services go to the Monthly Diary page in the What's On section. Children are most welcome here and we have a childrens' corner. Messy Church meet each month on the 1st Sunday 3-5pm in St. Peters Church Hall. Groups: There are several small groups for prayer and bible study - for details see Study Groups page. There is also a thriving and active Mothers Union group. 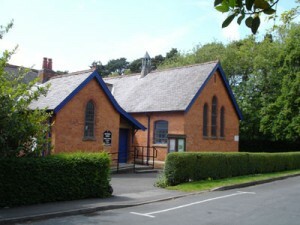 Facilities: St Peter's has a disabled-friendly toilet at the rear of the church. There is a sound system installed with microphones used by the Ministry Team to ensure everyone can hear the services. As of January 2018, St Peter's also boasts a large projector and screen at the front of the church which hides away when not in use. 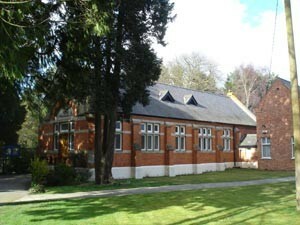 Woodhall Spa is part of a group of 6 Anglican parishes serving 6 rural villages in central Lincolnshire. Woodhall Spa and Kirkstead, Stixwould, Horsington, Langton with Old Woodhall, Bucknall with Tupholme. Each church has its own character and activities, but we work and share together as much as we can, in worship and social events throughout the year. The church is open every day from 9.30am until 4.00pm (3.00pm on Saturdays) and you are very welcome to come and look around, enjoy the quiet, spend some time in the prayer corner, or help yourself to a walk around guide. There are monthly magazines and prayer cards for sale at the back of the church and boards explaining some of our activities. The All Age Worship in Woodhall Spa is a more 'user friendly' service of Holy Communion, which we hope children (and adults) will enjoy. Morning Prayer is a little more traditional. The noticeboard in the church porch gives details about any changes to this pattern of services, and also the location of our Group Service on the 5th Sunday. Minister: Rev Eleanor Smith - tel: 01507 515295. Weekly Saturday Coffee mornings from 10.00am to 12.00 noon. Regular midweek fellowships and Singing Group.